Library of Congress • Washington event notes the importance of the book to millions of Mormons and its historical impact. Thomas Burr | The Salt Lake Tribune A copy of the Palmyra edition of the Book of Mormon, dated 1830, as displayed at the Library of Congress on Wednesday as part of an event held to note the importance of the religious tome Wednesday, Dec. 7, 2016. 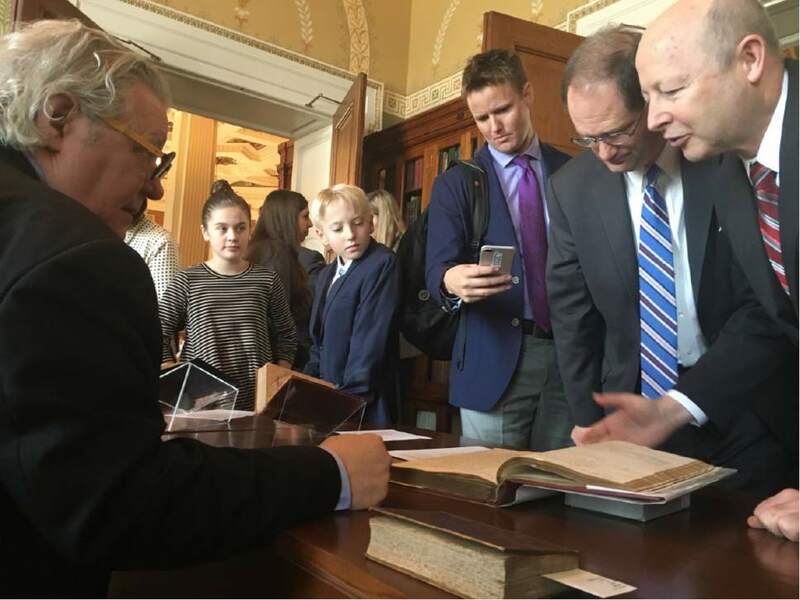 Thomas Burr | The Salt Lake Tribune Mark Dimunation, chief of the Library of Congress' Rare Book and Special Collections Division, talks to visitors about several early copies of the Book of Mormon during an event at the Library of Congress' Jefferson Building on Wednesday, Dec. 7, 2016. 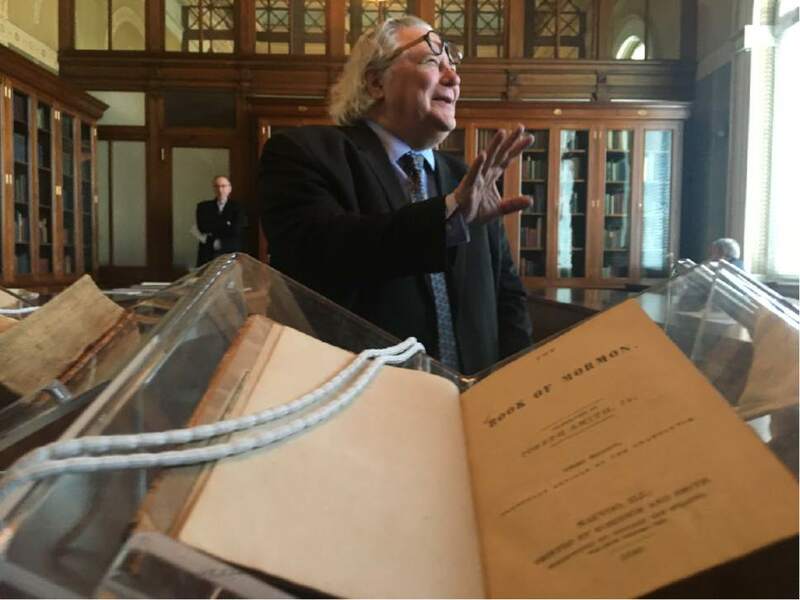 Thomas Burr | The Salt Lake Tribune Mark Dimunation, chief of the Library of Congress' Rare Book and Special Collections Division, explains the history of a copy of an 1840, third edition revised Book of Mormon during an event at the library's Jefferson Building on Wednesday, Dec. 7, 2016. 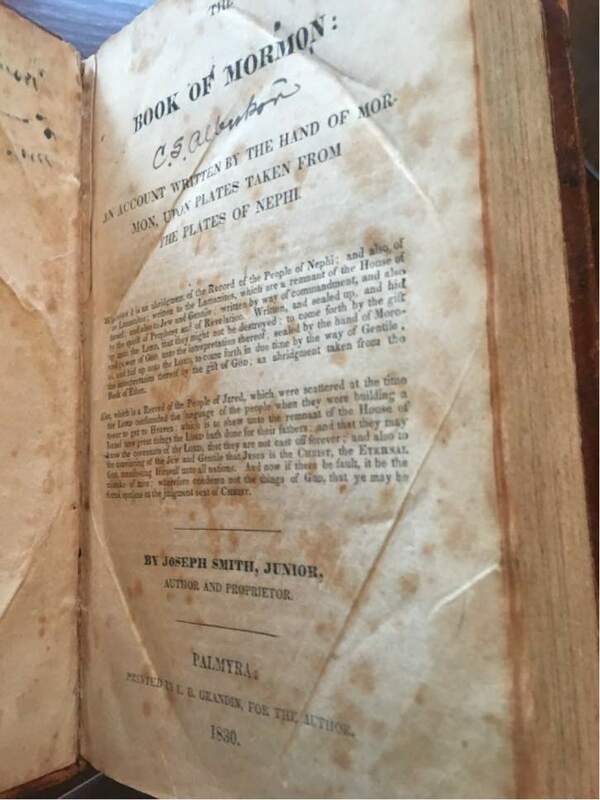 Washington • The Book of Mormon was highlighted Wednesday as one of America&apos;s treasured tomes at the Library of Congress, which displayed several rare editions as well as the 1829 copyright record filed by church founder Joseph Smith. Nearly every Mormon in Congress as well as high-profile members of The Church of Jesus Christ of Latter-day Saints from the Washington region pored over the first and third editions, an original Book of Commandments from the faith&apos;s founding and other rare items that are part of the Library of Congress collection. "It&apos;s been a book that&apos;s been extremely influential in my life. It&apos;s interesting to hear it referred to as the fourth most influential book in American literature," said Elder D. Todd Christofferson, a member of the LDS Church&apos;s Quorum of the Twelve Apostles who earlier Wednesday became the first of the faith&apos;s apostles to open a Senate session with a prayer. "I know what its influence has been in my life," Christofferson added, "and I&apos;m grateful that anybody else has that same experience and opportunity." Nearly every Mormon member of Congress joined the event, including Sen. Orrin Hatch, who hosted the gathering and noted the importance of the library that includes, he said, a copy of his "faded" 1934 birth certificate. "They&apos;re very proud of the Mormon collection they have here. It is special," Hatch, R-Utah, said Wednesday, adding that the Book of Mormon is "one of the most important books of understanding the basis of America and what it means and why this land is so precious to all of us." The top most influential books selected by the online public vote span an eclectic range, from Ayn Rand&apos;s "The Fountainhead" to satirist Kurt Vonnegut&apos;s "Slaughterhouse-Five, to Alex Haley&apos;s "Roots: The Saga of an American Family." They are all featured in the "America Reads" collection, celebrating the public&apos;s choice of the top 40 "other books" by American authors that had a profound impact on American life (in addition to 25 vetted by experts that featured more traditional picks, such as Harper Lee&apos;s "To Kill a Mockingbird" and Mark Twain&apos;s "The Adventures of Huckleberry Finn"). Hatch noted that while the Book of Mormon may be considered part of the American literature collection, more than 15 million members worldwide believe that the book dates back to the origin of man. Sen. Jeff Flake, an Arizona Republican and Mormon, said having the Book of Mormon as part of the group of books chosen shows the religious doctrine&apos;s influence. "It&apos;s important, not just for the LDS community, but as an important historical note to have it here," Flake said. Senate Chaplain Barry C. Black, a Seventh-day Adventist, opened Wednesday&apos;s event about the Book of Mormon with a prayer offering thanks that the LDS Church&apos;s most precious tome was part of the exhibit.